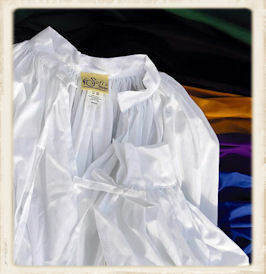 Our Classic Renaissance Shirt for Children is made of 100% cotton which is soft next to the touch. The tuxedo collar makes this shirt perfect to wear under our doublets. The shirt ties at the wrists and neck. Machine wash.